Eternal damnation, or eternal punishment has always been the ultimate form of pain and misery mythology and religion have ever come up with. Here are some individuals of Greek mythology who happened to get just that. Eternal punishment. Perhaps the most famous of them all is the titan Prometheus. He is credited with the creation of man from clay and the theft of fire for human use, an act that enabled progress and civilization. He is known for his intelligence, and as a champion of mankind.The punishment of Prometheus as a consequence of the theft is a major theme of his mythology, and is a popular subject of both ancient and modern art. 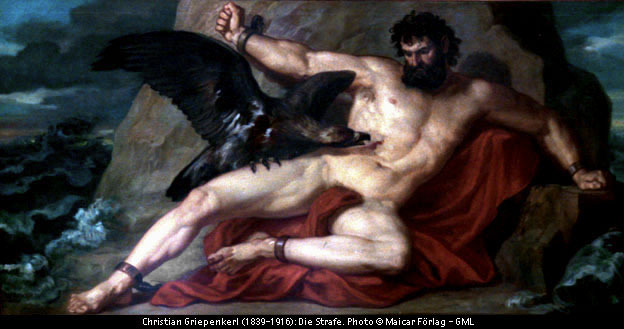 Zeus, king of the Olympian gods, sentenced the Titan to eternal torment for his transgression. The immortal Prometheus was bound to a rock, where each day an eagle, the emblem of Zeus, was sent to feed on his liver, only to have it grow back to be eaten again the next day. Another famous titan. He was punnished by Zeus for siding with the titans. His punnishment was to support the heavens for all eternity. Only one other has ever supported the heavens, and that was Hercules when Atlas tricked him. But hercules tricked him back. Today you can find the word Atlas in almost everything that has to do with geography. Probably you haven't heard of him unless you have read works of Alber Kamus the French philosopher. 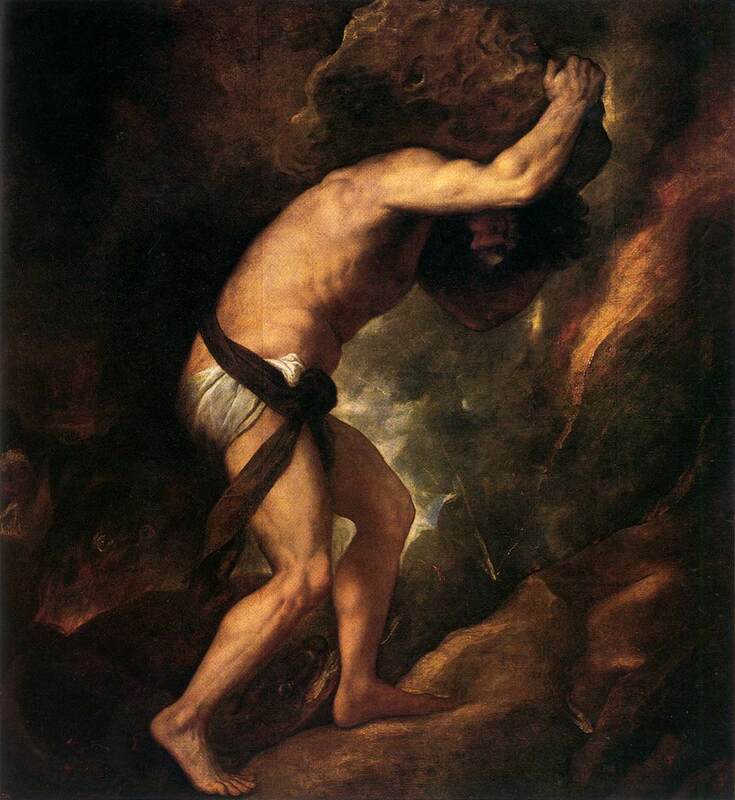 Sisyphus was a king punished by being compelled to roll an immense boulder up a hill, only to watch it roll back down, and to repeat this action forever. His punnishment was a result of a series of events, from betraying one of Zeus's secrets, to traping the god of the underwold. The Danaides were the fifty daughters of Danaus. They were to marry the fifty sons of Danaus's twin brother Aegyptus, a mythical king of Egypt. In the most common version of the myth, all but one of them kill their husbands on their wedding night, and are condemned to spend eternity carrying water in a sieve or perforated device. thanks for your time. please vote and shout if you liked it. no sub required for talking about our beautiful mythology. Ο Προμηθέας είναι εδώ με ψευδώνυμο.Ποτέ δεν έπαθα κάτι τέτοιο.Συκοφαντίες. Elpizw na eleutherothei i Ellada kai i Kupros kapote. ο Προμηθέας δεν έχει ελευθερωθεί, θα ελευθερωθεί όταν η ανθρωπότητα αλλάξει πνευματικό επίπεδο. Και δυστυχώς έχουμε πολλές χιλιάδες χρόνια μπροστά μας.